These 16 oz sauce bottles are made of PET and feature a 38/400 neck finish. 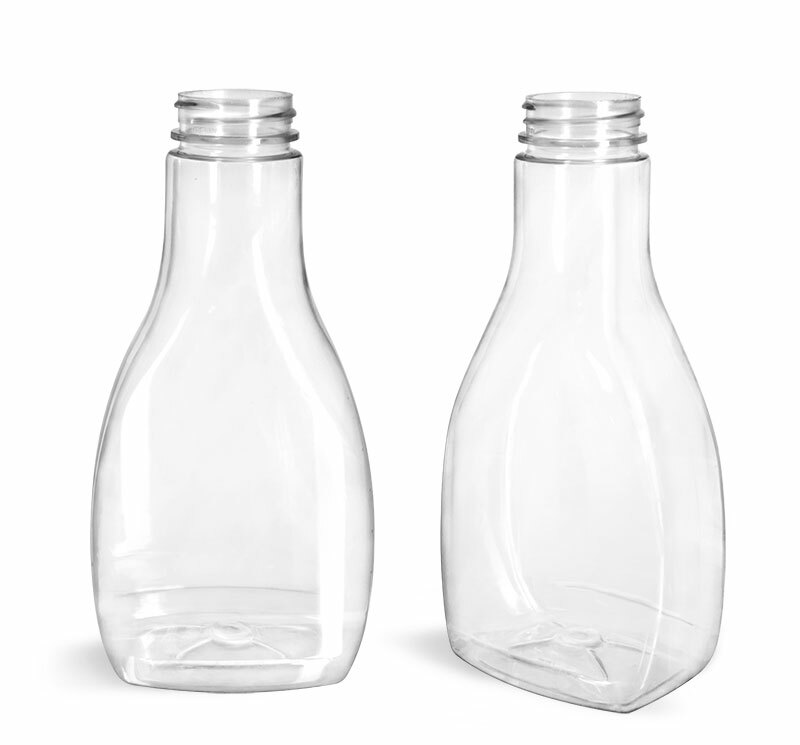 The oblong shape of these bottles could make them great for packaging products like sauces, marinades, or condiments. Click the "Add-ons" icon to browse compatible caps for these bottles.